In December 1944 the 106th Division took up positions in the Schnee Eifel area in Germany. 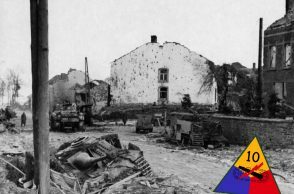 The 589th Field Artillery supported the 422nd Infantry Regiment from positions near the town of Herzfenn, on the Auw-Bleialf road. Battery “A”, of which Lieutenant Wood was the executive officer, lay south of this road, some 200 yards from the Battalion Headquarters. 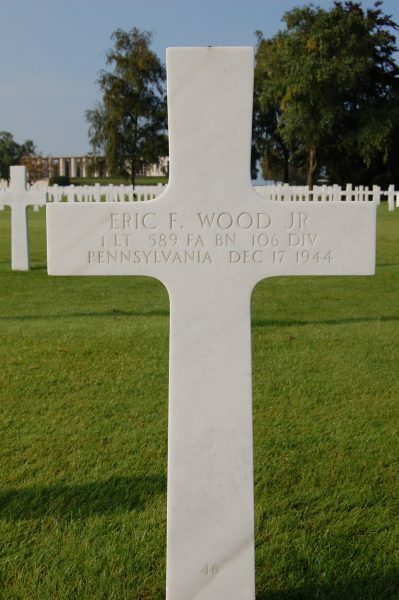 On December 14th, 1944 Brigadier-General Eric F. Wood Sr. and Captain Peter Wood, Eric Jr’s father and eldest brother, made a surprise visit to the Battalion. This was the last time the family saw Eric Jr. alive. Two days later the Germans attacked and the Battle of the Bulge erupted. 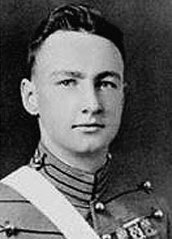 Captain Al Menke, the Battery commander was cut off at his observation post on the Schnee Eifel, which made Lieutenant Wood acting C.O. As units of the 14th Cavalry Group withdrew from the Losheim Gap, the entire northern flank became exposed, allowing a German breakthrough up the road to Auw. German troops poured through, outflanking the infantry on the Schnee Eifel which brought them straight into the artillery positions positioned along the Skyline Drive. This group shot shows part of Battery “A” of the 589th Field Artillery Battalion at Camp Atterbury, Indiana in July 1944. 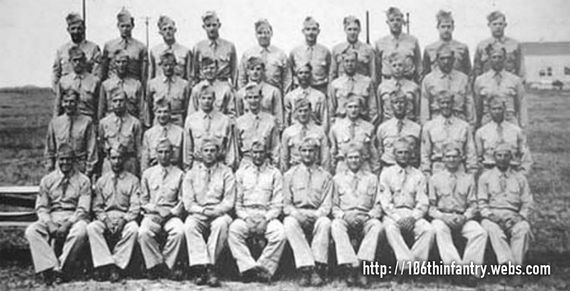 Corporal Kenneth Knoll stands at the top row, first from the left. Staff Sergeant John A. Scannapico is second right on the third row. Corporal John F. Gatens Jr. stands fifth from the right on the second row. That morning, three German Stürmgeschütz, assault guns on a tank chassis, rolled unopposed down the roads to Auw and Herzfenn. At about 1400 PM the tanks came into sight of the 589th Field Artillery. Lieutenant Wood heard the tanks coming and ran to a small hill on the left side of A-Battery, where he had a clear view of the road. He shouted commands to his nr. 1 piece, under command of Sgt. George Shook and with Cpl. John F Gatens Jr. manning the gun. Despite having a restricted view of the enemy tank on the road, Corporal Gatens destroyed the lead tank by direct fire, using armor-piercing ammunition. Soon all four 105mm M1 Howitzers of Battery “A” opened up on the remaining tanks. Infantry support was broken up by sweeping the surrounding woods with shells. As it turned out, Lieutenant Wood’s prompt handling of the situation broke up the enemy attack. The enemy was now building up its forces. It was only a matter of time until a big push would destroy the Battalion. 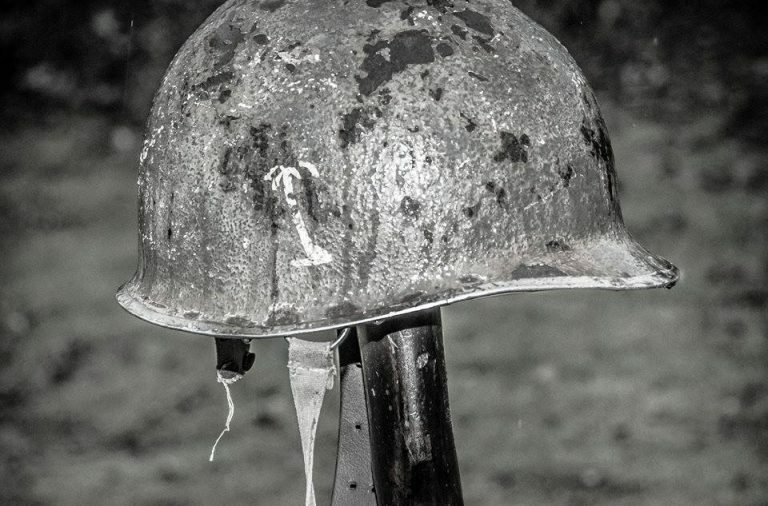 Wire and radio contact with the 422nd Infantry had been lost. Colonel T. Paine Kelly, the Battalion commander knew that a daylight withdrawal was out of order. As night fell, Division Artillery finally issued an order to the Battalion to fall back towards Belgium. The 2nd Battalion of the 423rd Infantry Regiment had been brought up from Schönberg to provide cover for the artillery. But the German Volksgrenadiers were closing in fast. Getting out was easier said than done. The 2 1/2 ton GMC trucks towing the howitzers had turned the dirt roads leading up to the Battery positions into a muddy paste. 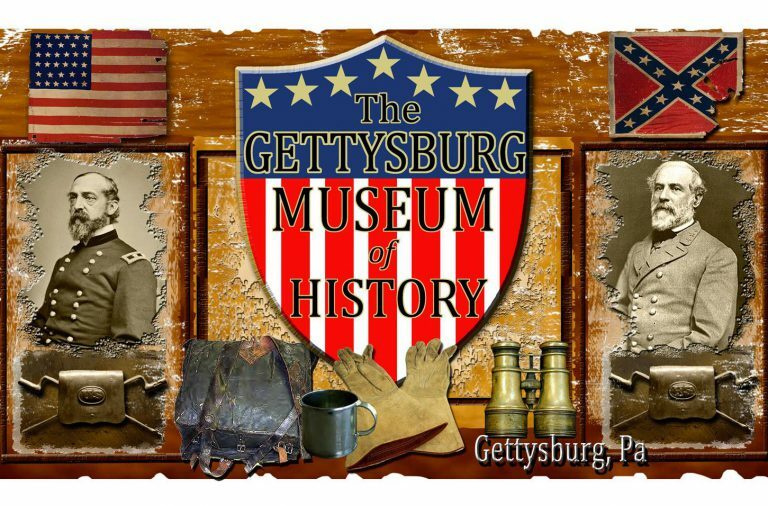 Intermittently, enemy artillery and mortar fire was coming down on the Battalion and in the distance German riflemen were taking pot shots at the area. Wood and his men persisted and finally got the howitzers up the road, one by one. Battery “C”, closest to Auw, had bigger issues. Getting the guns out of the position seemed an impossible task. All four howitzers had to be destroyed and left behind. Battery “B” got out just before Battery “A” and the trucks headed to the Belgian border. Battalion commander Kelly chose to stay behind to rally the remaining personnel of Battery “C”. New positions were set up near the spot where the 589th’s Service Battery lay – a vacant field on the side of the road right across the border into Belgium. Battery “B” went in first along with the Battery “A” howitzers which Wood had succeeded in saving at the first position. The fourth piece was put on the road as an anti-tank defense. Its prime mover had been crippled when the radiator was punctured. On the morning of 17 December the Germans launched a massive attack. They were pushing through Andler from the north, coming down the Our valley. From the south, a big force was coming down the road from Bleialf. Major Arthur Parker III, by that time the acting battalion commander, did not hesitate and gave the order to move out. 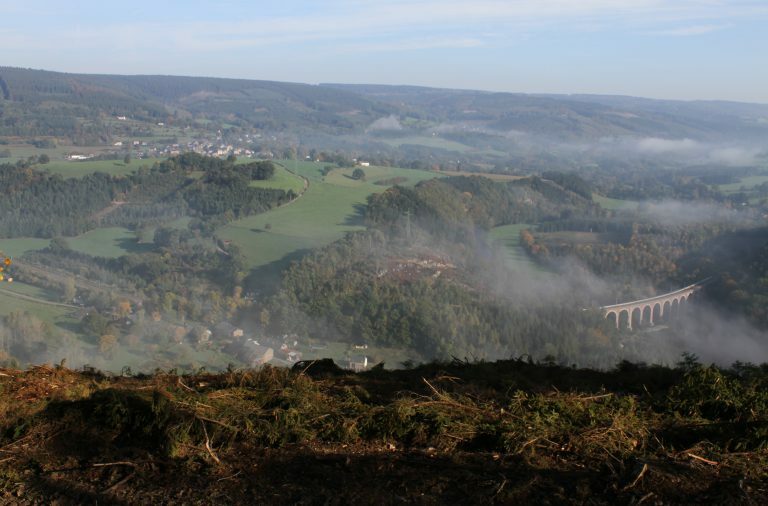 The men were ordered to push through Schönberg and move towards St Vith. Lieutenant Wood ordered his crews to move their pieces out on the double, but one was stuck in the muddy field. He stayed behind with the gun crew to help get the howitzer on the road. Time was running out fast. German troops appeared behind them and Battery “B” was being overrun. The guns were blown up and abandoned as the men hurried to their trucks and headed for Schönberg. Finally Wood and the crew got the howitzer moving again. The lead vehicles of the column were well through Schönberg by now. Wood and his men were far behind. Battery “B”, or what remained of it, was in hot pursuit. When they came rumbling down the hill into Schönberg, they found that the Germans were all over the place. Three howitzers out of the original 12 were clear of the town and on their way to St Vith by now. But a German tank ambushed Wood and his eleven men in the truck as it appeared around a bend in the road. Wood and his men piled out and took to the ditch. Behind them other vehicles of the 589th were piling up. The Germans were all around with tanks and infantry. With capture imminent, Wood jumped up, crossed the road and ran up the steep snow covered hill with bullets whizzing by. He was last seen by his men as he disappeared in the tree-line. The next chapter in Lieutenant Wood’s story became legendary. Whether it is all true or not, the men who served under his command believe that he could have done all that was attributed to him. He is remembered as a fine man and an excellent combat leader. 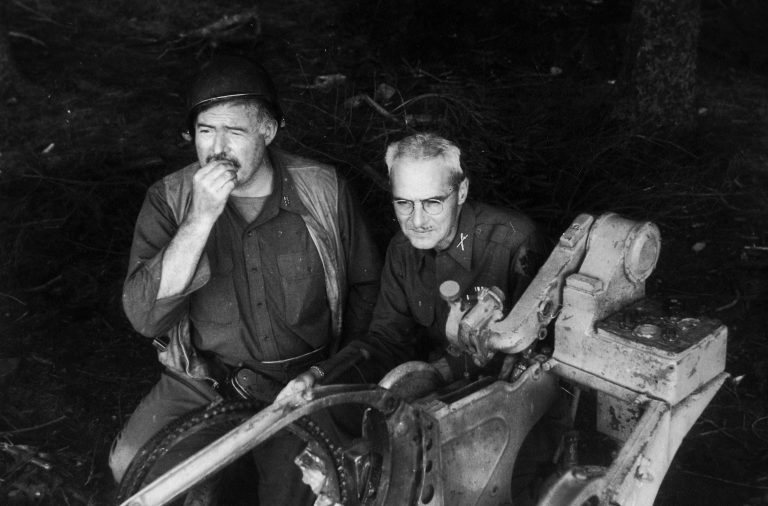 His character and actions during the first two critical days of the Battle of the Bulge are well recorded. The villagers of Meyerode, Belgium remember this young American lieutenant as a legendary one man army. On the afternoon of 18 December 1944, 68 year old Peter Maraite was roaming the woods outside his village for a suitable Christmas tree. Despite the ongoing fighting in the area and the recent breakthrough he is adamant to have a tree in his home for the holidays. Not too far from the village he encounters two frostbitten American soldiers, a tall officer and a short regular GI. They told Maraite to approach him and tried to talk to him. Maraite had only one problem – he can’t speak a word of English. Living in the Eastern part of Belgium, Maraite only knows German. Through sign language he eventually convinces the two Americans to go home with him. They wouldn’t stand a chance in the woods alone in their exhausted and freezing condition. Snow is falling and the Germans are advancing on St. Vith. The village of Meyerode was already in German hands. Peter Maraite was well aware of the danger if he and his family are caught harboring Americans. Despite the risk he brought the two men home with him. Finally, in the relative safety of the Maraite home, the lieutenant tells his story of escaping the Germans in Schönberg. Peter Maraite dispatched his daughter Eva to bring his trusted neighbor Jean Schröder as an interpreter. Home of Mr. Maraite at Meyerode where Wood spent the night. The American officer told the Maraites and Jean Schröder that they are trying to make their way to St. Vith to get help for their wounded in Schönberg. Maraite informed the two Americans that the road to St. Vith was hazardous and that there are Germans everywhere. But the officer was determined to go and not cause any further burden on the Maraite family. He said he would either fight his way back to friendly lines or start his own personal guerrilla war in the woods. Afterwards they all shared a meal and drank. The officer made jokes and was very optimistic. He also asked Schöder and Maraite about the German movements. Determined to leave after supper, Maraite persuaded the Americans to spend the night in his home. He did not want them to get lost in the woods. They consented. Both men cleaned their weapons and slept in the Maraite family bed while their wet clothes dried by the stove. They were sound asleep, as they didn’t move an inch, even when in the night a buzz bomb crashed near Meyerode with a huge explosion. Next morning, while it is still dark, Peter Maraite wakes up the two Americans. An hour later they begin their planned infiltration to St. Vith. It is the last time Maraite would see of either of them. A few days later, the people of Meyerode hear bursts rifle fire and explosions coming from the woods around the town. They are confused, as the frontlines have moved several miles to the west. 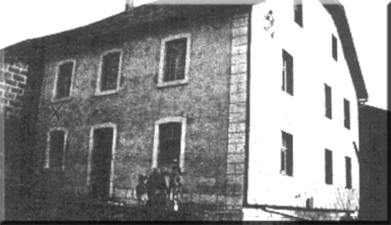 Maraite suspects that the noises have something to do with the two men he took in his home. The villagers also notice that sounds of war only erupt when small groups of German soldiers enter the woods. They never occur when there are big troop columns. Wounded Germans return from the Meyerode woods and in town the villagers hear the Germans talk about “damned saboteurs and resistance fighters in the woods”. German snow plows which have the important task of keeping the trails in the woods clear for supply convoys, are reinforced with heavily armed guards to protect them against attacks from their unknown assailants. The dreaded SS General Josef “Sepp” Dietrich, commander of the 6th SS Panzer Armee had his headquarters at Meyerode for some time and referred to the events in the woods as the actions of “scoundrels and bandits”. To Peter Maraite it is clear as day. The American Lieutenant kept his promise. 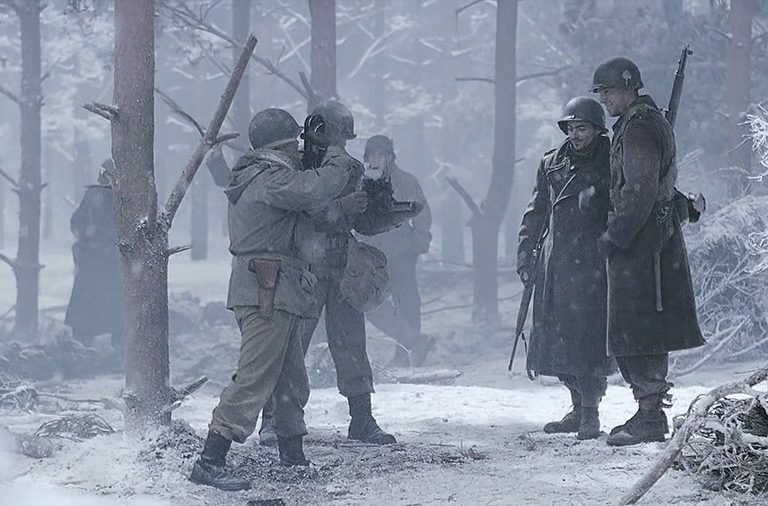 The isolated fighting in the woods goes on until mid-January 1945 when it becomes quiet. 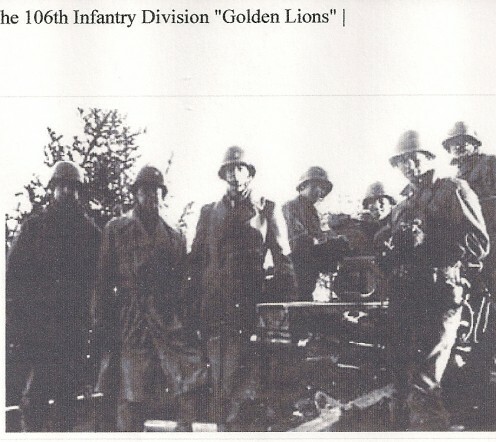 A few days later the 424th Infantry Regiment of the 106th Division and elements of the 7th Armored and 82nd Airborne Division liberate the village and the surrounding forest. The drawing that was published with the Saturday Evening Post article in 1947, which further helped to immortalize the story of Lieutenant Eric Wood. On 25 January 1945 Meyerode was liberated for the second time in less than a year. 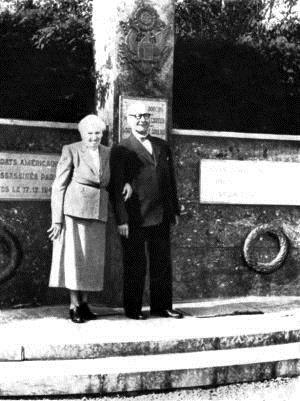 About a month later Mayor Jean Pauwels sends two local woodsmen, his cousin August Pauwels and Servatius Maraite (no relation with Peter Maraite) to accompany an American Graves Registration unit into the Ommerscheider Wald to pick up bodies of casualties. 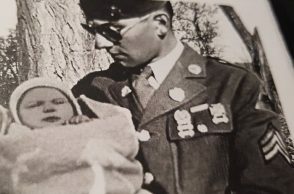 It is Servatius Maraite who on 25 February 1945 directs them to the frozen body of an American officer of the 106th Division on a hill in the woods. 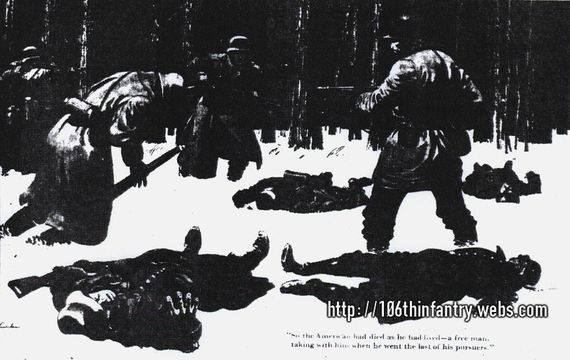 Around the dead American are the frozen corpses of seven killed German soldiers. 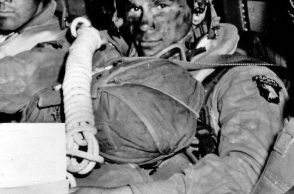 About 250 yards from the remains of the American officer another GI is found – Lehman Wilson – a GI of the 82nd Airborne Division, who had died on a reconnaissance mission in the area in January. The remains of the officer were brought to the Henri-Chapelle Military Cemetery on 27 February 1945 for examination, identification and interment. Lieutenant Raker, the officer in charge, positively identified the remains a those of 1st Lieutenant Eric F. Wood Jr. of Bedford, Pennsylvania. The state of the remains justified an estimated time of death on 22 January 1945, some three days before units of his own Division recaptured Meyerode. His date of death is finally readjusted to 17 December 1944, when he was last seen by his own men in Schönberg. 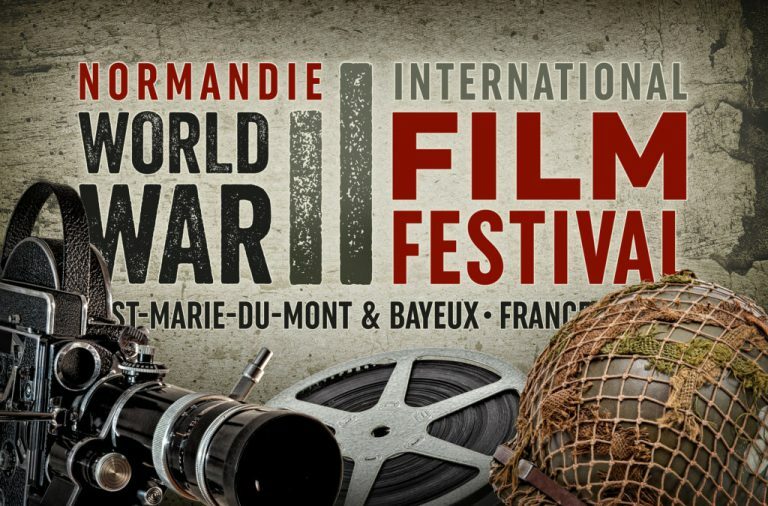 In the summer of 1945 the war in Europe was finally over and a special guest appeared at the Maraite house in Meyerode. The man introduced himself as Major-General Eric Fisher Wood Senior and he wished to ask the Maraites some questions. Around the dinner table he laid out a few pictures of young men and asked the Maraites if they recognized any of them. After a while they all picked out the same photograph as they recognize the man in the photo as the American officer who spent the night at their home on 18 December 1944. General Wood now finally had closure about the fate of his son. What exactly happened in the woods around Meyerode will forever remain a mystery. The Graves Registration unit that collected Eric Wood’s body eventually brought close to 200 dead Germans out of the woods, buried both in mass graves and isolated graves. They also locate at least eight destroyed German trucks along the road in the immediate vicinity. German prisoners of the fighting around Meyerode told stories that there was a small fighting unit of Americans that roamed around in those woods. They all give the same stunning detail – the commander was a tall, young officer. To many Americans and Belgians, Wood became a legendary figure. One small detail is very important to his story. When Servatius Maraite found the body of Eric Wood Jr, he had a wallet in his breast pocket which contained close to 3,000 Belgian Francs. To the Americans, this could only mean one thing. If a German soldier had survived the confrontation with Eric Wood, he would never have left that money. After the war, General Wood and the people of Meyerode dedicated a cross in honor of lieutenant Wood. It stands close to the spot where Eric Woods body was found in 1945. In gratitude for the Maraite’s hospitality and the gratitude shown by the people of Meyerode, General Wood donated a silver chalice to the Church of Meyerode. Today the stone cross honoring Eric Wood still stands today as a testimony to his courage and sacrifice. He will never be forgotten. In 1947 Colonel Ernest R. Dupuy published the article ‘The incredible valor of Eric Wood’ in the Saturday Evening Post. Although elaborated this article immortalized the story of lieutenant Wood and his one man Guerilla war in the forest around Meyerode. 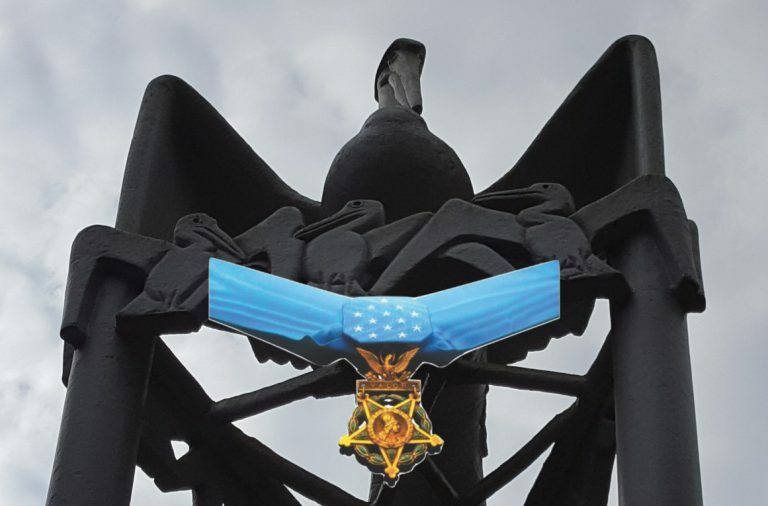 Lieutenant Wood was posthumously awarded the Distinguished Service Cross for his actions. He is also the recipient of the Silver Star Medal, the Bronze Star Medal, the Belgian Croix de Guerre and the Purple Heart Medal. Lieutenant Wood is buried among 7,991 of his fellow soldiers at the Henri-Chapelle Military Cemetery.